One of the most enjoyable things about collecting is the way it can confront you with the unexpected – and the tales there-of; finding a “treasure” which sets you off on a narrative excursion you wouldn’t otherwise experience. 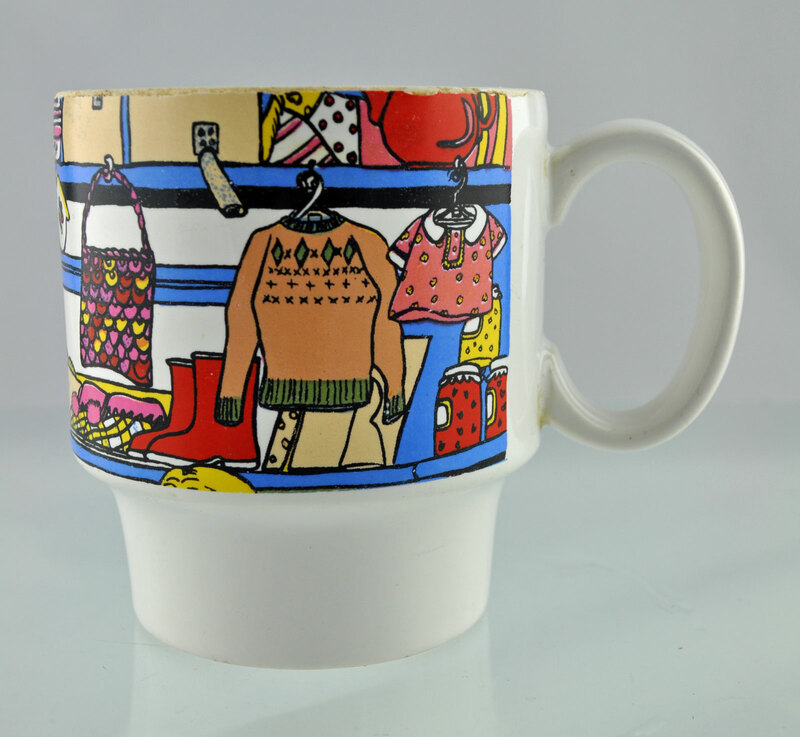 The other day I came across this cup which immediately caught my eye among a heap of dross. It has a very distinctive 1970s graphic design – a shop interior – quite intriguing. 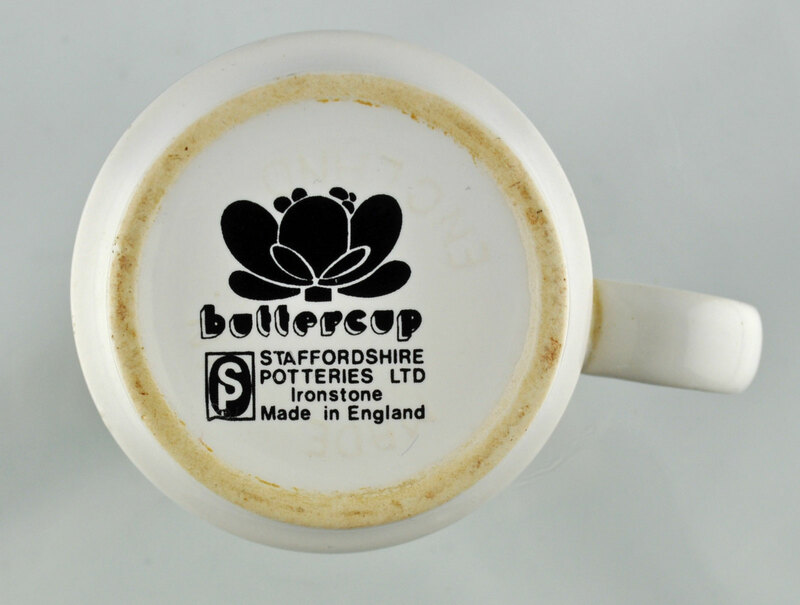 I saw that it was made by Staffordshire Potteries, apparently in a range called Buttercup – complete with a fab logo – but when I put those terms into an online picture search, I got a sort of visual Googlewhack – only one photo reference for a Buttercup range (with a different design) which is quite unusual ( I Google a lot). It seems unlikely that such a visually appealing range would be so scarce now; and then I started to wonder about the design itself. It looks as though the picture is supposed to illustrate a shop called Village Stores. Now, every village store I’ve ever had the misfortune to enter has seemed to be chiefly in the business of selling cheap lager, knock-off spirits and random canned goods dating from the Falklands War. Still, I’ll be looking out for more “Buttercup” ware now – and if you want to take a closer look, pop over to our Etsy shop here. 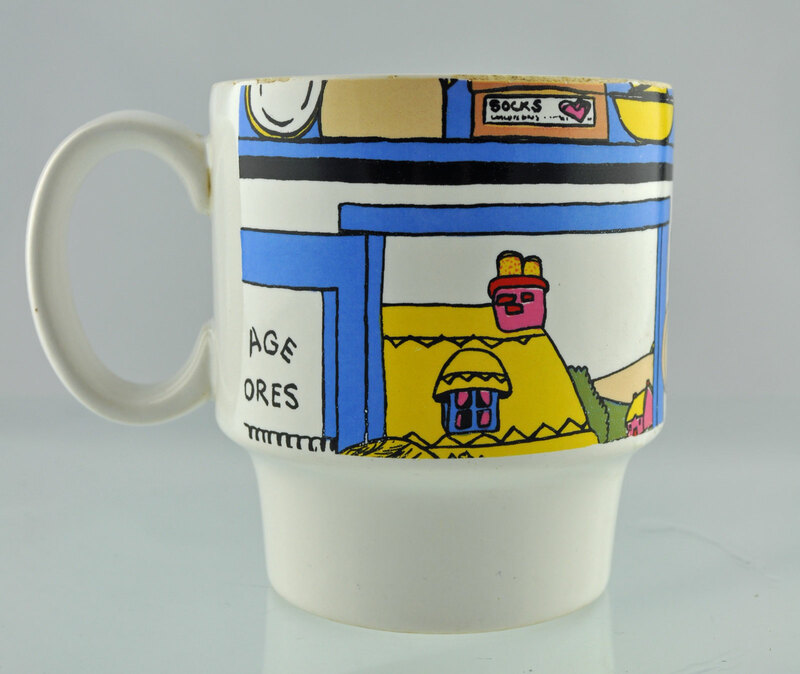 This entry was posted in Uncategorized and tagged #Kitsch, #MidCentury, 1970s, 70s, ambridge, archers, Buttercup, cup, graphic design, kelly hoppen, logo, Mid Century, Staffordshire Potteries, village. Bookmark the permalink.